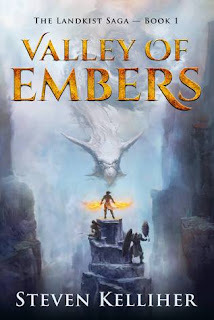 I love an Advanced Reader Copy - and so tore into this early release of Steven Kelliher's debut work - "Valley of Embers"
Kole Reyna is an Ember, he has realised the same latent ability that his mother had – the power to endure, control and wield fire. It makes him a formidable foe, a creature of aggression and attack. He is not the only Ember, there are others like him (a few handfuls) in his town and through the Valley where his people the Emberfolk live. To them the Embers are the knights in shining armour (or at least armour incandescent with their own heat) who protect them from the Dark Kind. One impediment to the reader getting a grip on characters are the occasions where Kelliher introduces a large number of characters in fairly quick order – there are two or three council style meetings where that happens, including the opening scene. In such a forum it is difficult for the author to give each character a distinctive voice and that was a little off putting at the start. Having finished the book – I did go back and re-read the opening scene again and was naturally enough able to invest far more understanding of place and person into what had been brief initial glimpses of some of the key players in the story. I say some, for Kelliher directs a diverse cast list, men and women taking up arms in whatever means they can. The action scenes are frequent and vibrantly described – including one extended siege to rival that of the Hornburg or Minas Tirith. Of many minor and major characters in orbit around Kole Reyna, Captain Talmir was one I found particularly engaging. This may be partly for his determination to be leader and protector of his people despite not having the gift of being an Ember, but partly it was because seeing his town of Hearth always through his eyes gave that element of the story a continuity of perspective and coherence that was easier to read through. The fights are a mix of conventional and fantastic, as magic and steel seek to cut down creatures of mundane and infernal natures. Some enemies prove as irritatingly resilient as the serial-killers from teen slasher movies (Michael Myers in Halloween for example) which lends a tension to keep the reader always on the edge of their seat. 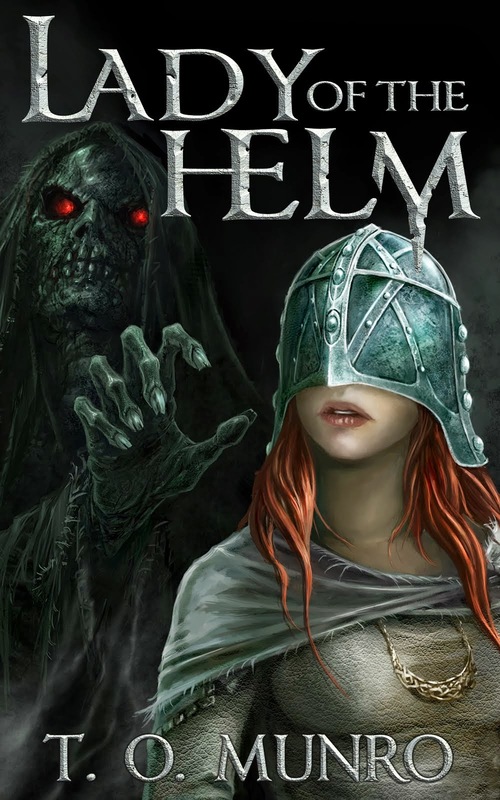 Kelliher has crafted an imaginative magic system and – in Kole - an intriguing hero, driven as much by a desire to focus the blurred recollections of what happened to his mother as by the need to protect his people. 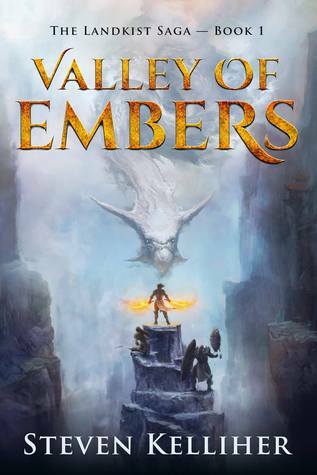 The Valley of Embers and the land beyond it is a complex world, with a history that twists and turns even as the reader (and the protagonists) try to chase down what is going on. I did not find too many of the feared info-dumps (the kind that often masquerade as bardic retellings of past history) and that is a good thing. However, in a story that twists sinuously and doubles back on itself as much as the passage of the river F’Rust in its subterranean caverns, it took a little while for me to become familiar with some fundamentals of the world Kelliher was describing. An author knows their own world - all its heroes and its denizens - in such intimate detail that sometimes they can forget that each reader comes to it completely afresh knowing only as much as is presented on the page. Morsels of information that the author strews in the reader’s path may each gleam in their own perspective as brightly as the Arkenstone in a seam of coal, yet – to the untuned eye of the reader – the information is subtle or overshadowed by other events. All this is by way of saying that the story confused me a little at times. I let myself be swept along, buffeted by fragments of an epic backstory, swirling past outcrops of world building, and trying to keep hold as the story rode the raging torrent of Kole’s quest for answers and for a kind of resolution. 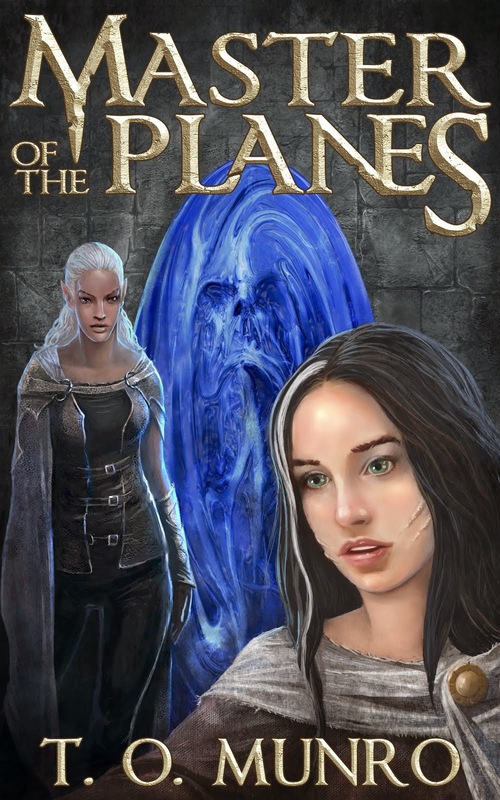 About a quarter of the way in, the main story lines had settled enough for me to get my bearings and to follow the entwined threads of the story within which Kole fought to evade entanglement. Like a student in an advanced maths class I was content to soak it all up – the transparent and the cryptic – in the expectation that in time all would make sense. And on the whole it did, though I must admit there is the point in the book where one character asks “Who was that, and what was he on about?” and my kindle note simply says amen to that question. I suppose, in part to prove I was paying attention, I feel obliged to share the understandings I have (hopefully correctly) gleaned about the world of the Valley, the rest of the world and the World Apart. In so doing, ironically, I may find myself writing exactly the kind of info-dump that Kelliher has studiously avoided. The sages appear to have been wizards of almost godlike power and incessant warfare. Amongst them the Eastern Dark was the enemy of the emberfolk while his brother sage the White Crest was their friend and saviour who brought them into the protection of this remote valley at the southern edge of the world. However, the Valley was already inhabited and the assimilation of the refugee Emberfolk was not a bloodless affair. Nonetheless, the different peoples in the valley (Rivermen, Emberfolk, Rockbled and Faey) have settled into relatively easy co-existence and intermingling with the Emberfolk in their major towns of Hearth and the Lake. One factor in this rapprochement may have been the rising of the Dark Kind, creatures of evil, bleeding into the world of the Emberfolk from the World Apart. The World Apart is a place of demons and darkness whose boundaries with the world of the Valley weaken in the dark months allowing threats to seep in that need an Ember’s flames to destroy them (or failing that a sharp sword and a few true arrows). 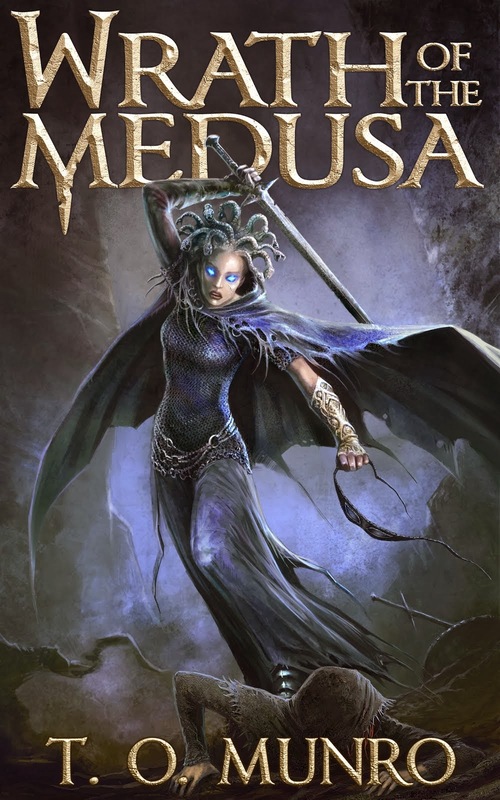 The sage known as the Eastern Dark was known to court the Dark Kind – those creatures of the World Apart – and as the story opens, concerns about a feared increase in the attacks of the Dark Kind has brought Kole and others to a council of the great and the good of the town of Lake. There are other wielders of different kinds of magic. The Faey appear to be a kind of rarely glimpsed elven race within the Valley who bestow through training a power of healing on the Faeykin. There are Seers, and Faeymothers, and the Rockbled. I cannot say that I totally got the interrelationships between the different peoples and the intricacies of the magic system. Even though the book is the first in the Landkist series I never was quite sure what it meant to be Landkist. I guessed it might mean that one of the gifts of the land (perhaps an Ember nature) had been awakened in the person. And that, I guess, is the for me the book’s slight weakness. A cryptic nature to its magic, its peoples and their history that did not readily unfold for me in the character action and interaction.